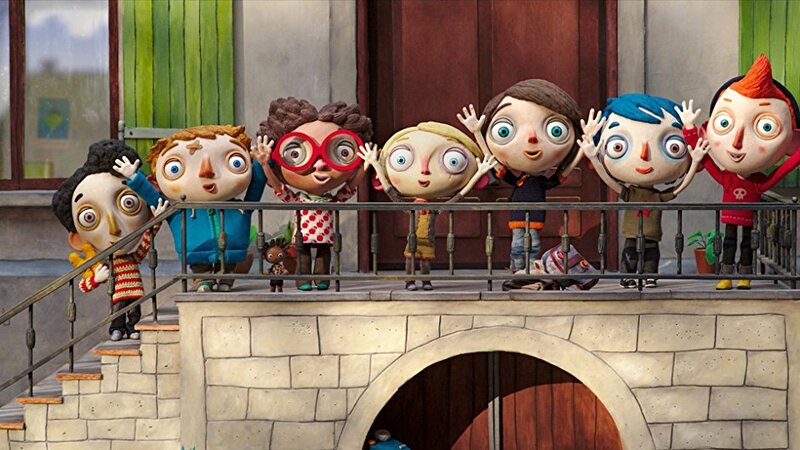 Movie: "My Life as a Zucchini" / "Ma vie de Courgette"
A young orphaned boy who has suffered years of abuse moves into an orphanage where he and the other children, all with past traumas, learn what it means to be in a loving home for the first time. Don't be fooled by the bubbly, big-eyed characters, "My Life as a Zucchini" is not for kids. 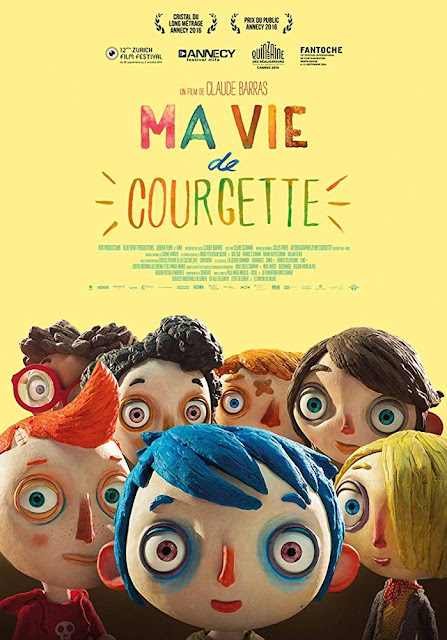 Alternately titled "Ma Vie de Courgette," this is a Swiss/French stop-motion animated film directed by Claude Barras and is his first feature-length film. The screenplay is written by Céline Sciamma along with numerous other contributing writers and is adapted from the novel "Autobiographie d'une Courgette" by Gilles Paris. The story is about a young boy called Zucchini (Eric Abbate), whose alcoholic abusive mother was killed in an accident that caused her to fall down a flight of stairs. Zucchini is taken to an orphanage by a police officer named Raymond (Nick Offerman), who feels sorry about Zucchini's situation and becomes his friend. Zucchini now has to adjust to living his life in an orphanage with other kids who have also lost their parents/guardians. He also sometimes has to contend with a bully named Simon (Romy Beckman), who lashes out at the other children due to his own insecure feelings. As time passes, Zucchini begins to acclimate to his surroundings, especially once Camille (Ness Krell) shows up. He immediately becomes infatuated with her, and as it turns out, she may need help from him and the other orphans to deal with her abusive relative. 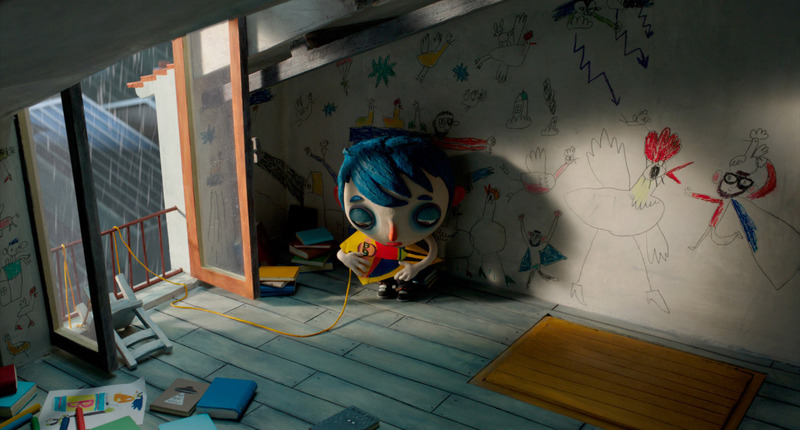 When "My Life as a Zucchini" begins, and we see a young kid in a household with a drunk mother throwing beer cans at the television, we initially wondered what we had gotten ourselves into, especially considering what happens next. This is a bittersweet story about abuse and broken homes. That being said, it is also about love and finding family in places you least expect. We are big fans of stop-motion animation, and we really like the character designs and overall look of this enjoyable film. It is simultaneously adorable and dark. Each of the kids has shadows and circles around their eyes, which makes it look like they haven't slept because they are being tormented from within. There are also many moments of fun and laughter, as well as times of love and tenderness. There are also many bits of sorrow and misery, all of which will make the viewer gush with emotion. We learn about Zucchini and all of the other kids at the orphanage. Each of them deals with real issues that are probably too much for younger kids to handle. As adults, we found ourselves really invested in the stories of each of the characters and many of their arcs. We see the growth of each character, especially of the bully Simon, who we start out hating but grow to love over the course of the story. We loved "My Life as a Zucchini." 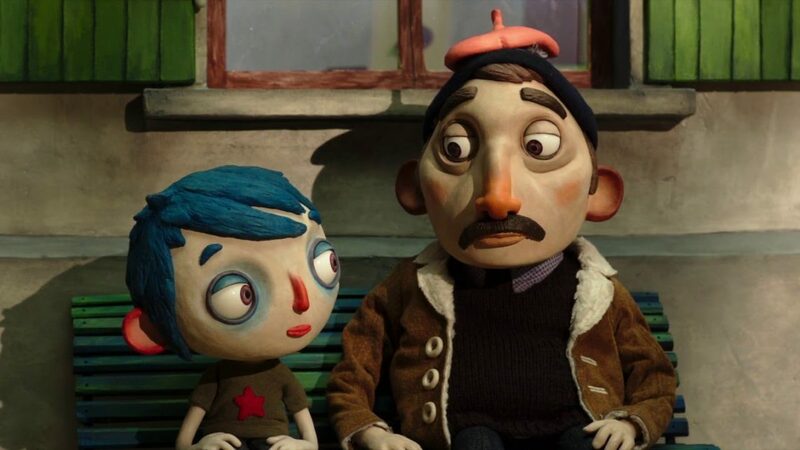 We can absolutely see why this film was nominated for Best Animated Feature at the Academy Awards. You should seek this movie out immediately.